With more than 400 species, a holly (Ilex spp.) suitable for your landscape is as near as your local garden center. Hollies often have spiny, glossy green leaves and red, yellow, white, orange or black berries. Depending on the variety, they are deciduous or evergreen and can grow anywhere from 18 inches to more than 50 feet tall. Whether you use them as privacy hedges or foundation plantings, in rock or woodland gardens, proper planting is essential for a good start. Before planting hollies, choose a variety that's likely to survive in your area. Many hollies are hardy to U.S. Department of Agriculture plant hardiness zones 5 through 9. American holly (Ilex opata), for instance, can grow as an individual specimen and reach a height of 50 feet and a width of 40 feet, while Japanese winterberry (Ilex serrata) can reach up to 8 feet in height. Yaupon holly (Ilex vomitoria) is a variety that can grow up to 30 feet tall and thrives in the warmer climates of USDA hardiness zones 7 through 11. 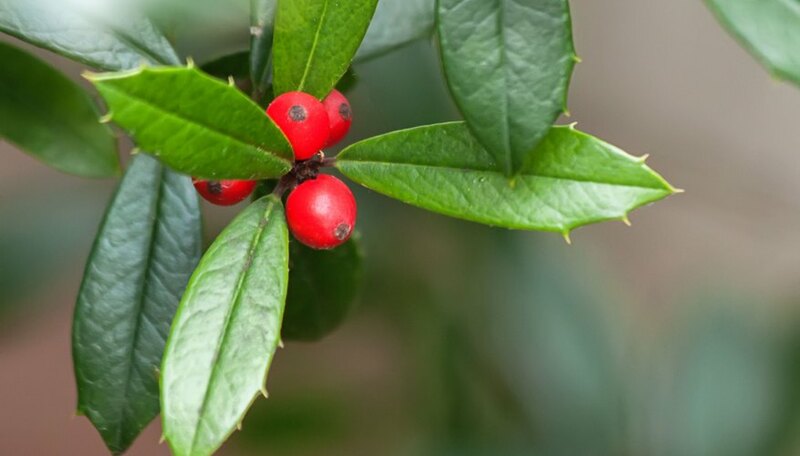 Holly bushes prefer well-drained soil with a pH range between 5.0 and 6.0. 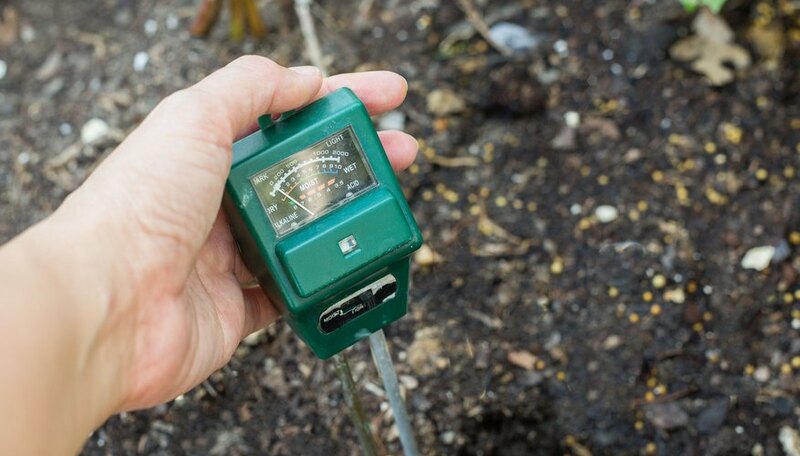 Perform a soil test in the fall before planting in spring to determine the pH of the soil in your garden. You can use a commercial soil test kit or consult your local cooperative extension service regarding soil testing. Depending on the results, you might have to incorporate limestone into the top 7 inches of soil to raise the pH or add sulfur to lower it. While making these amendments, work a 2- to 4-inch layer of compost into the soil to promote drainage. Hollies thrive in a sunny area of the garden. The planting hole should be as deep as the height of the root ball and about two to three times as wide. Place the holly in the hole and backfill it halfway. After lightly tamping the soil with your fingers, water thoroughly and wait for the moisture to drain and reach the roots. Then backfill the remainder of the hole, tamp the soil and water again. 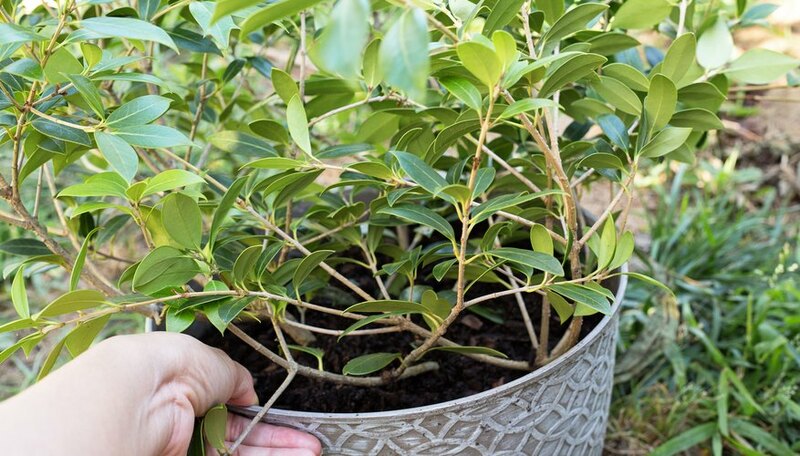 Plant the holly at the same depth that it was previously growing. Space multiple plants 5 to 25 feet apart, depending on the mature size. Hollies need regular water and prefer moist soil until they establish themselves. 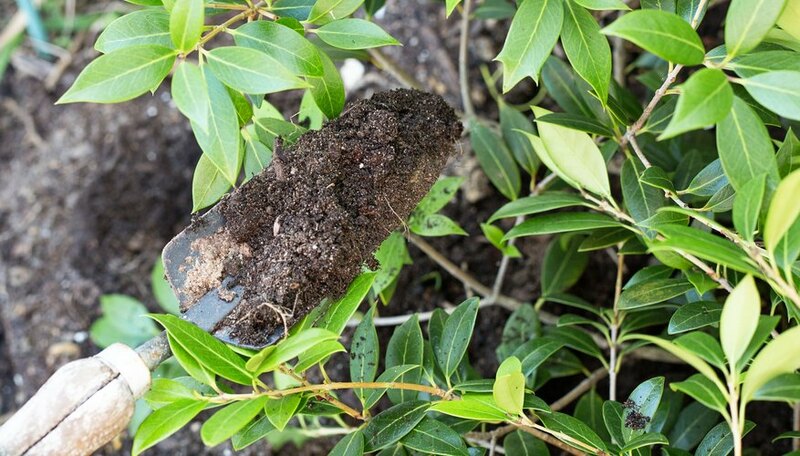 Spreading a 2-inch layer of bark mulch on the soil around the shrubs can promote soil moisture retention and keep weeds at bay. Don't let the mulch touch the trunk of the holly; keep it 2 to 3 inches away. When the holly is established, provide it with about 1 inch of water a week, adjusting your watering frequency after rainfall. 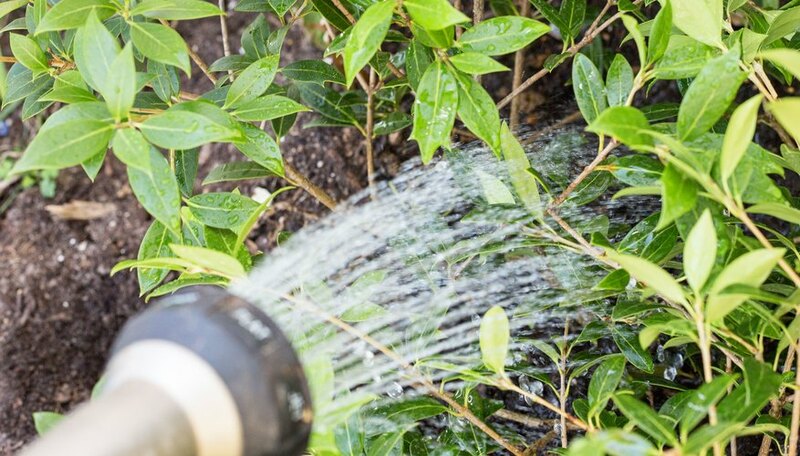 Every spring, spread 2 inches of compost under the drip line of the shrub to provide nutrients, and if needed, prune the shrubs to maintain the desired height and shape. Be aware that eating the leaves and berries of some holly species, including yaupon, causes nausea and vomiting.